What is the KSM44A best suited to? Prethos™ Advanced Preamplifier Technology consists of highly sophisticated, extremely transparent internal circuitry architectures that enable unprecedented seamless audio, maximizing audio quality for premium microphone performance. With Prethos the KSM44A achieves groundbreaking specifications: 4 dB of self-noise with the cardioid pickup pattern. The KSM44A comes with all features that a premium and flexible studio mic needs: dual large diaphragms with switchable polar patterns for a nuanced, clear and full sound, extremely low self noise, high sensitivity, minimized proximity effect, 3-position low frequency filter. A spider shock mount and an aluminum carrying case come with KSM44A. 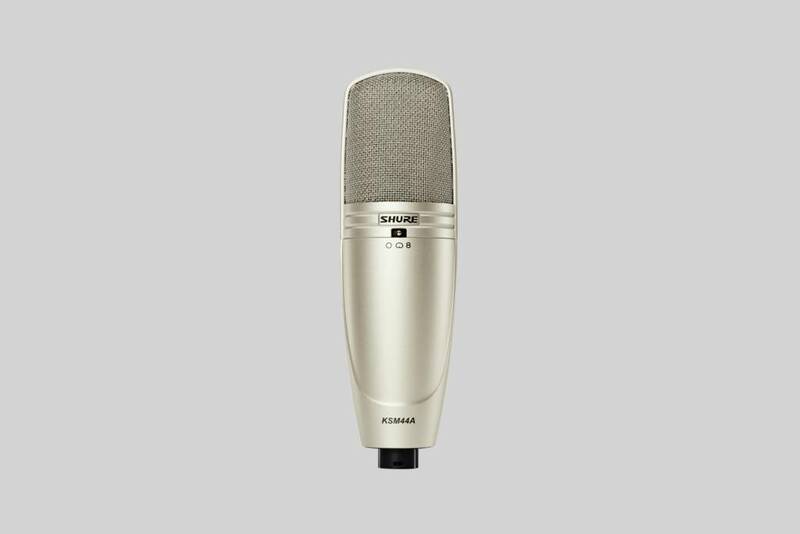 With the rugged design and the 15 dB pad the microphone is also used on stage. The KSM44A is built with premium components such as the dual 1 inch, externally biased, ultra-thin, 2.5 μm, 24 Karat gold-layered, low mass diaphragms. Internal and external connectors are gold plated.